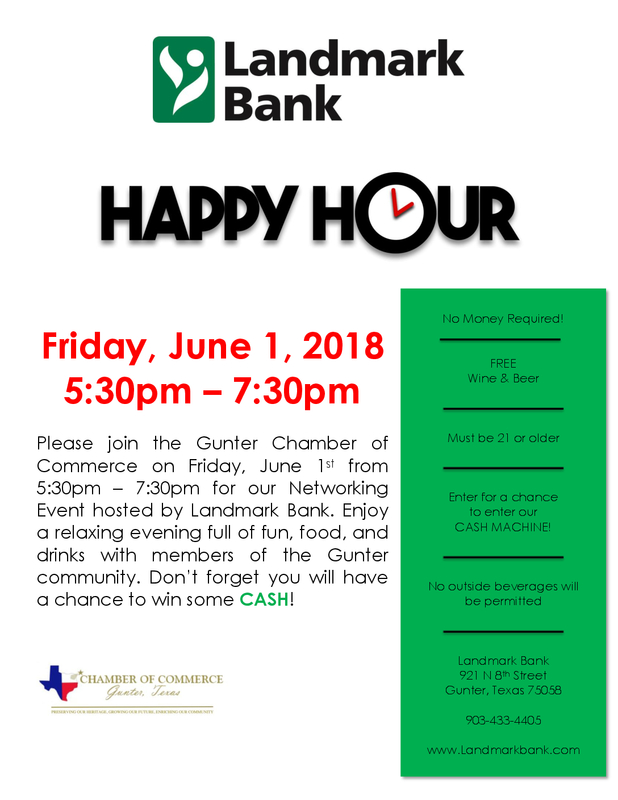 Please join the Gunter Chamber of Commerce on Friday, June 1st from 5:30pm – 7:30pm for our Networking Event hosted by Landmark Bank (Gunter location). Enjoy a relaxing evening full of fun, food, and drinks with members of the Gunter community. No money required – FREE wine, beer & appetizers – MUST be 21 or older – Enter for a chance to enter the CASH MACHINE – no outside beverages will be permitted. Don’t forget you will have a chance to win some CASH!